Apparently, August 3rd was National Watermelon Day. To be quite honest I’ve been celebrating for weeks. And by that, I mean I average approximately 1/4 watermelon per day, all by my onesies. I wish I was kidding; I am not. I used that day as an excuse to eat half of a watermelon by myself…I eat a lot of watermelon, okay? It’s just such a happy, summer fruit. And it’s pretty. This is literally the perfect summer drink. 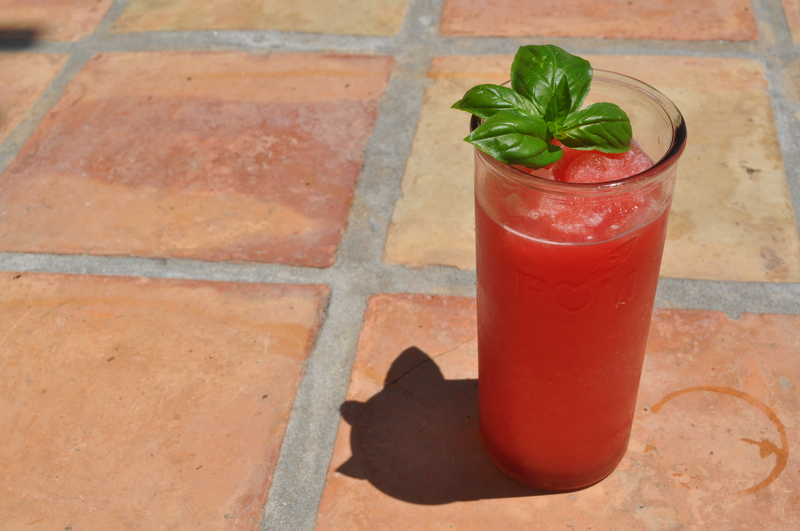 Only two ingredients (ice and watermelon…shocker), it’s beautiful, and it’s delicious. And easy! Next time you’re reading a book outside or whatever you do when you have free time during the summer to enjoy the sunshine, make one! It’ll be worth it. Blend the watermelon and strain out the pulp and seeds. 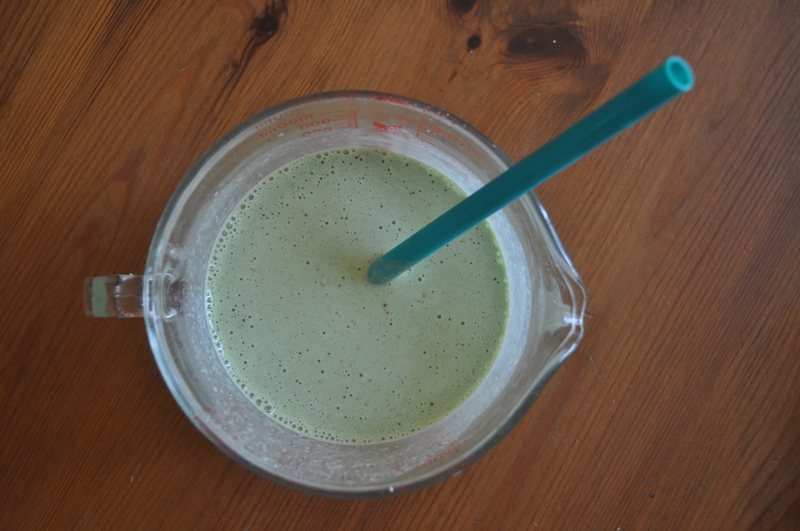 Blend with ice until it’s the perfect slushy consistency, and drink! (I garnished with basil just to make it look pretty.) It’s as easy as that. LOOK AT HOW BEAUTIFUL THAT IS. I can hardly stand it. Ugh. 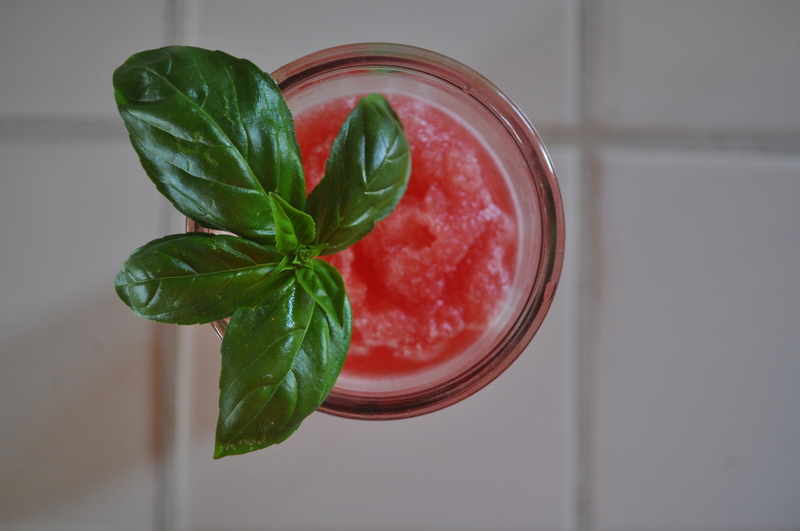 Categories: Drink | Tags: drink, slush, slushie, summer, watermelon | Permalink. So I really like coffee. Being a part-time New Yorker (in training), I do a lot of Starbucks-hopping and there are few things I love more than finding a cute little cafe with delicious pastries and usually exorbitantly overpriced cappuccinos. Being a foodie in NYC is so hard. I would venture to say the large majority of the money I spend on a regular basis is on food, which I’m perfectly okay with. 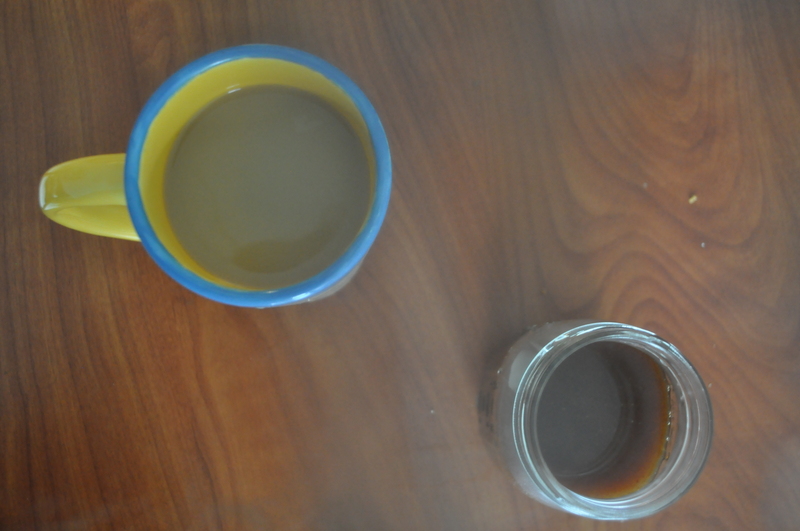 Back to the coffee for a moment: I’ve found that I drink a lot less coffee in the summer. It just isn’t really part of my summer routine I guess. Regardless, I still love it! 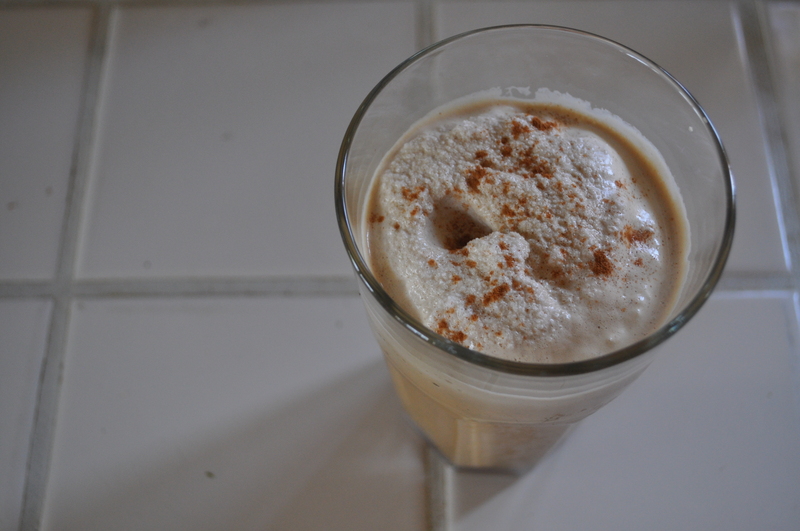 And what’s better than a cool, refreshing coffee drink when it’s hot out? Preferably one that is not as grossly unhealthy for you as the Starbucks ones. How they pack that many calories into those frappuccinos astounds me. As exceptionally delicious as they are, I’d rather have one of these (and be able to eat for the rest of the week), thank yooou. Brew your coffee however you so choose (I used my french press), pour it into a shallow container and stick it in the freezer. 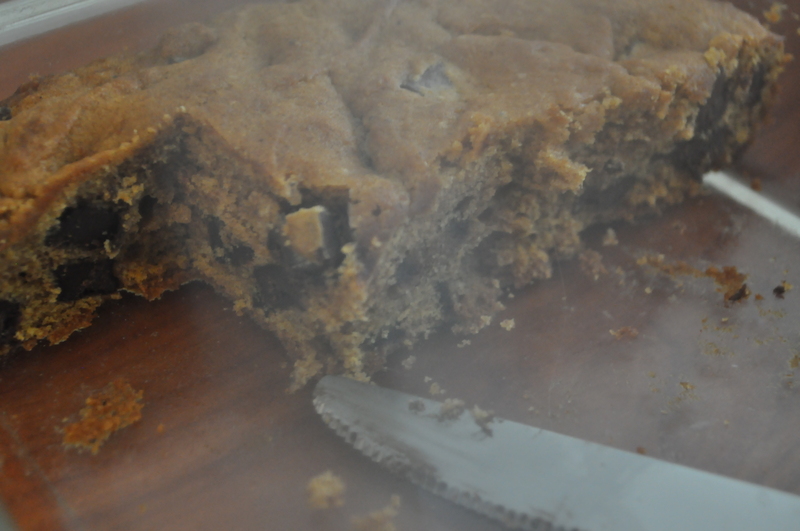 Once it’s frozen (at least 4 hours) break it up into blendable sized pieces. This was not glamorous, ladies and gentlemen. I had my frozen coffee in a shallow, rectangular tupperware and I was literally standing there stabbing it with a butter knife until it broke up into smaller pieces. 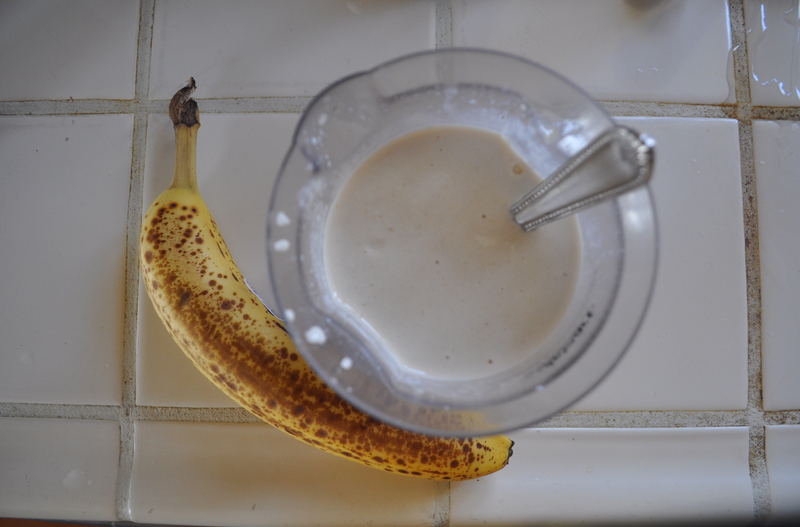 Blend all the ingredients together and there ya go. This will probably make about 2 servings (or one, if you like a ton of coffee) so share, half the recipe, or save some for later! 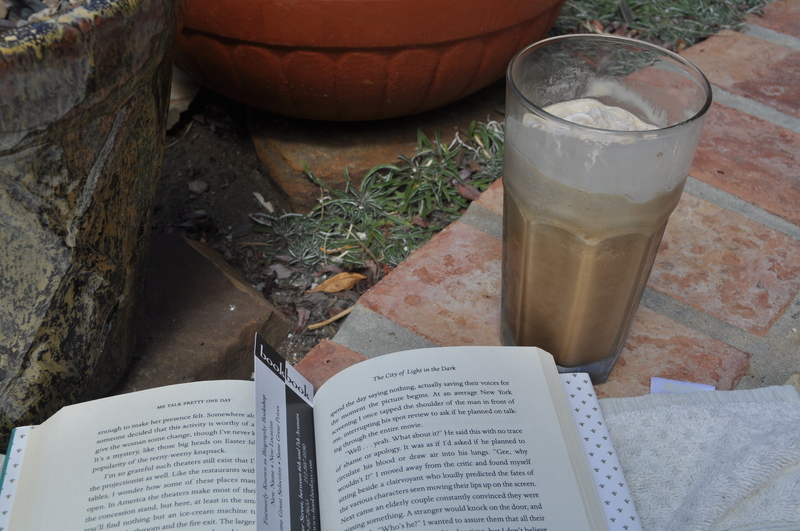 Categories: Breakfast, Drink | Tags: blended, coffee, drink, ice | Permalink.